This #ClimateEmergency report outlines 6 Big Moves for Council to direct staff to pursue & come back w. comprehensive/costed plans. Plus 53 Accelerated Actions to move on now. The targets are strong & won’t be easy. This is what governing in line with the science looks like. 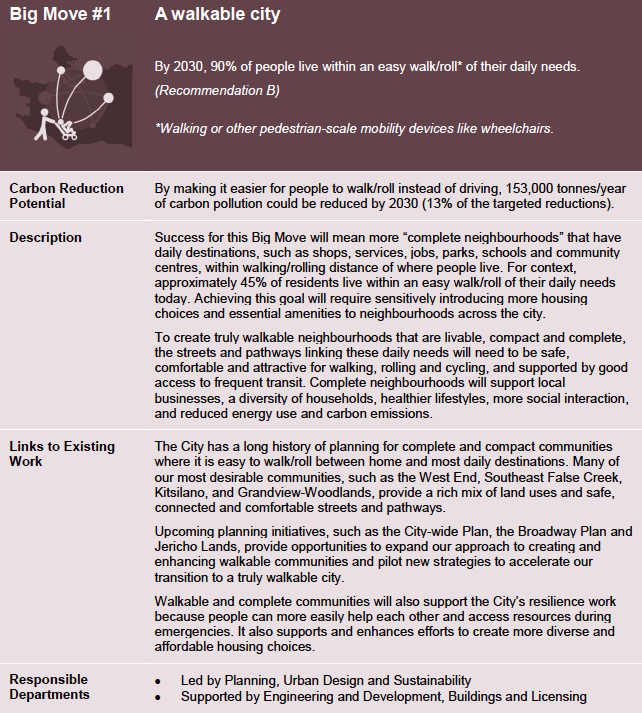 Big Move 1: By 2030, 90% of people will live within an easy walk/roll of their daily needs (we’re at 45%). 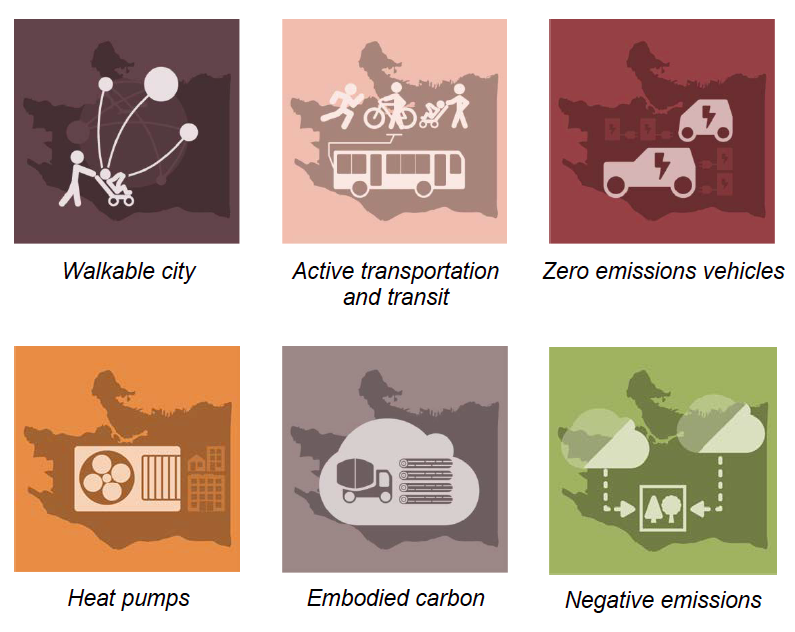 Focused on land-use & complete n'hoods, it would ⬇️ 153,000 tonnes carbon/year, while creating ⬆️ housing choices, ⬆️ social interaction, and supporting local businesses.